Chocoholics rejoice! 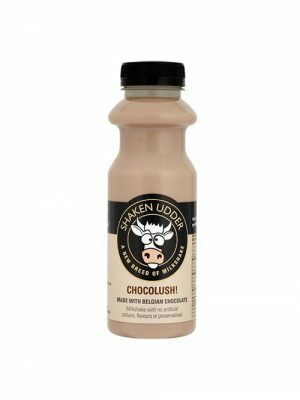 Finally there's a rich and creamy shake made with lashings of real chocolate to satisfy those cravings at any time of the day! Discover the deliciously decadent combination of sweet and salty. A fantastical milkshake that blends the smooth taste of golden caramel and the finest sea salt. Bottled bliss nom nom nom. Parading its pips on the outside, Britain's best berry earned its name from farmers stuffing straw around their plants. 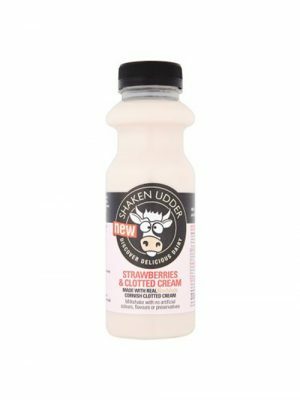 We've blended these scrumptious strawberries in a bottle with Rodda's divine Cornish clotted cream! Is there a better fruit for mashing, thrashing and bashing? We think Bananas were born to be blended, which is why we are confident this beautiful blend of fresh milk and real bananas will please the most avid Banana buff. Get your vanilla fix in a flash! This divinely smooth and creamy shake is udderly delicious in every way.